The classes are open for students and young established pianists at the highest level. The participants will receive at least 4 classes each of approx. 60 minutes duration. The classes starts in the morning of 21 January and ends with a closing concert in the evening of the 28 January. Limitation of participants is 10. The students are expected to bring their own music for the course. The teaching is timetabled in the main hall, Pentagon at the Reksten Collections. All master classes will be open to public audience. 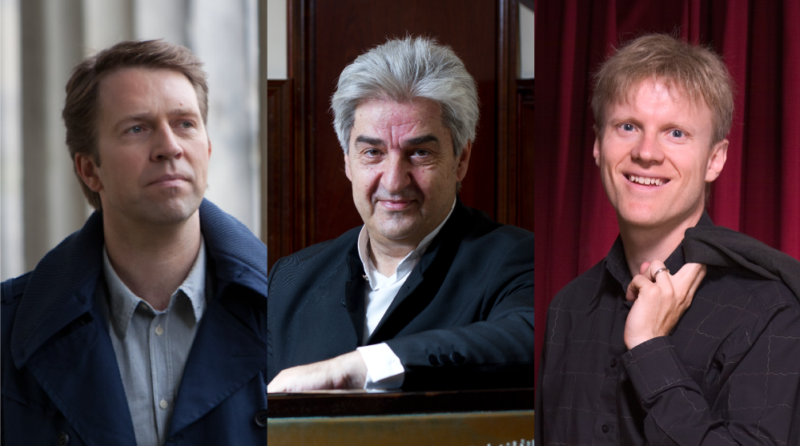 Leif Ove Andsnes and Christian Ihle Hadland will during the course held lectures about Rachmaninov piano concerto no 4 and Bach Goldberg Variations. There will be arranged two public concerts with the participants, one at the Reksten Collections and one in the University Aula in the Bergen city center. Accommodation is offered at the Reksten Collections and is included in the participation fee. Breakfast and lunch are based on self catering in our kitchen, which is fully equipped. Dinners are included in the participation fee and will be provided by the academy. At the Reksten Collections you are free to practice in various rooms and on 11 good quality pianos and grand pianos. To be submitted upon receipt of invoice and one week after acceptance of participation. 4) Links to a video of 10-15 minutes duration, containing 2 pieces. (To be posted on You Tube, SoundCloud etc. or sent by a file sending service or as a DVD by ordinary mail). Within the 22 December, the applicants will be informed if they have been accepted for the master class. Please, help us forwarding this information to your musical network, on Facebook or other social medias. The master classes are arranged in collaboration with the University of Bergen. Master classes with Andsnes and Hadland, 3-10 September, 2017. Would you like to book accommodation at the Reksten Collections? If you are accepted for the master class, will you be needing an invitation letter to obtain visa to EU/Schengen area? Links to a video recording of 10-15 minutes duration, containing at least 1 - 2 pieces. (YouTube/Vimeo link or an online file sending service).